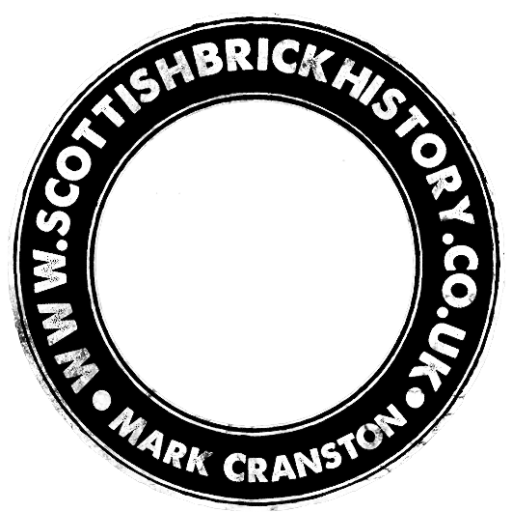 1936 – 1937 – Frankfield Brickworks, Shettleston : Proprietors ,W. & J Whitehead. Ltd. ; Tel. No. Shettleston 85.Frew, Alexander, & Co., Ltd., brickmakers and coal Agents, Barracks Depot, Gallowgate C.4 ; Tel.No., Bell 363. Head office, Rawyards, Airdrie. 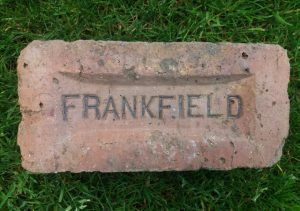 Below – 1944 – 1967 – Frankfield Brickworks. Found by Eddie McLean in the Glasgow area. 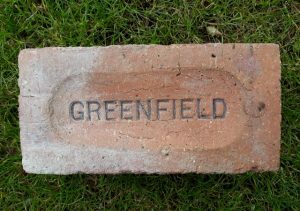 Greenfield Brickworks, Earnside St, Shettleston, Glasgow. . . . .
Found at Castlecary Fireclay & Lime Works,Castlecary Unidentified maker Find location would suggest Scottish origins and most likely a Weir, Castlecary product but….. 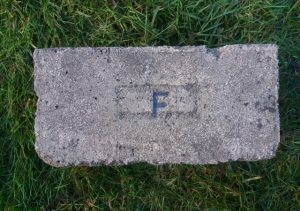 This appears to be a firebrick and as such I do not believe it to be a Frankfield Brickworks product, who did mark their bricks with an F. . .
Found by Tucker Kennedy in Stranraer. A slight variation in the shape of the ‘F’ to my other similar examples. 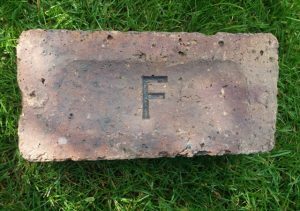 Frankfield Brickworks, Earnside St, Shettleston, Glasgow, Lanarkshire. . . .
Found by Eddie McLean in the Glasgow area. 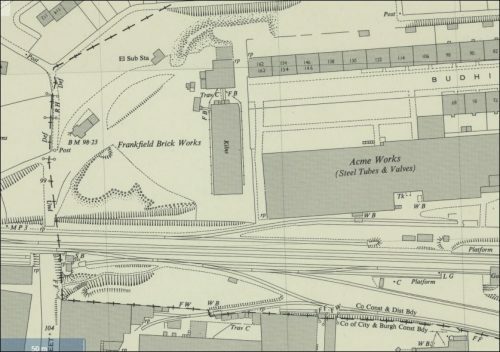 Frankfield Brickworks, Earnside St, Shettleston, Glasgow, Lanarkshire . . . .
Found Paisley Frankfield Brickworks, Earnside St, Shettleston, Glasgow, Lanarkshire. . . . . 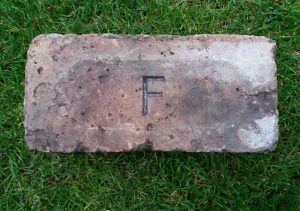 This version with a smaller ‘F’ was found on the banks of the Clyde, Old Kilpatrick, Glasgow Frankfield Brickworks, Earnside St, Shettleston, Glasgow. 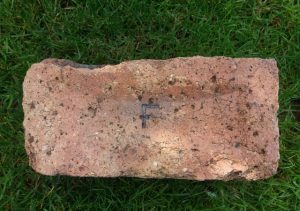 . . . .
Found in Fife area by Jeannie Cooper. 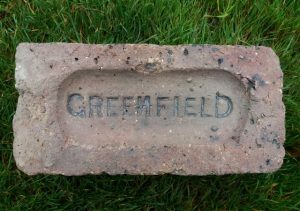 Greenfield Brickworks, Earnside St, Shettleston, Glasgow. 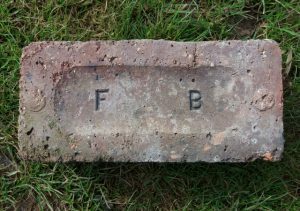 Note the first and last letters are larger than the rest and the ‘N’ is reversed. . . .
Found at Dalmiur, Glasgow Frankfield Brickworks, Earnside St, Shettleston, Glasgow . . . .
Found by Andrew Gemmell in the Milngavie, Glasgow area. 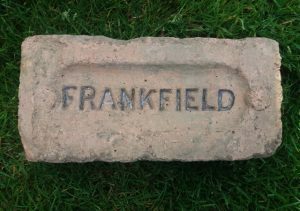 Frankfield Brickworks, Earnside St, Shettleston, Glasgow, Lanarkshire. . . . .